1) Word Part Quiz: Students will write the meaning of the Word Parts. 2) Spelling Quiz: Spelling dictation. 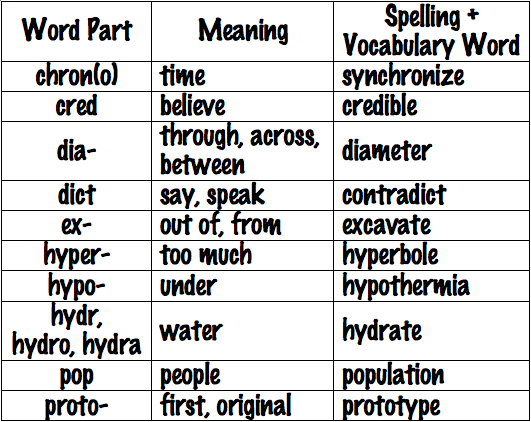 3) Vocabulary Quiz: Students will write the meanings of the Spelling + Vocabulary Words. The word part, spelling, and vocabulary quizzes will be given February 5.